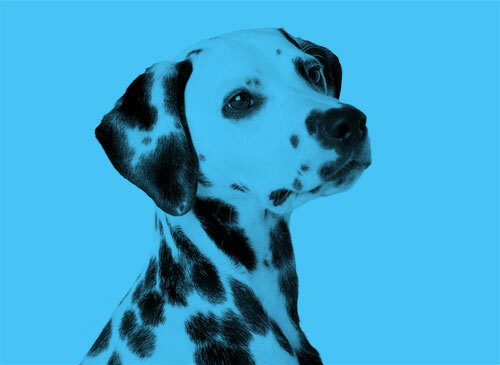 …find our who is behind Ollie’s Petcare & meet our dogs! Meet Jonathan - the founder, owner & daily operator of Ollie's Petcare & Boutique. Jonathan loves all dogs & animals and has had family pets from a young age! From goldfish to hamsters; guinea pigs and cats - he's grown up with them all! Recently - back in 2010 - when he got the chance to change his career direction he jumped at the opportunity and stated Ollie's Petcare after getting inspiration from a little sausage dog named Ollie! Currently Jonathan can be found on daily walks around Dublin City with Ollie & Penny in tow visiting their many doggie & kitty friends! Outside this he can be found rushing to the post office sending the pooches of Ireland & further afield top notch goodies & treats from Ollie's Pet Boutique! Meet Thomas - the backbone of Ollie's Petcare! Thomas keeps a low profile but is the main support behind the scenes in the daily operations of the business. Thomas is a fellow dog lover and daddy #2 to Ollie & Penny the miniature sausages! Thomas has also grown up from a young age with pets in the his family. Dogs have always been part of his life! He hopes one day Ollie & Penny will have an adopted bigger brother or sister to keep them in line! Day to day Thomas can be found answering our business emails and keeping an eye on our social networks - feel free to tweet him, message him on Facebook or drop him an email! Meet Ollie the miniature dachshund and the reason Ollie's Petcare is here! Ollie is a little black & tan sausage dog who came into the lives of Jonathan & Thomas over 5 years ago! He is full of mischief and currently enjoys nothing more than annoying his little sister Penny or having a mid-day nap! Though food is always at the top of his list of favourite things! When Ollie was just a little cocktail sausage and attending daycare, training and socialisation classes, Jonathan realised there was an obviously lack of petcare services in the Dublin area for dog owners. After doing some research Ollie inspired the beginning of Ollie's Petcare!! Meet Penny - Ollie's little sister and also a cheeky sausage dog. Penny was the last member to join our team in September 2013 - she's currently just had her second birthday - July 2015. She's a typical little dachshund girl - very cheeky, energetic, loyal and lovable! She loves joining us for walks with her favourite pal Charlie. She may be a girl but she has no hesitation bounding into the mucky puddles and racing thought the rain! Penny has slotted herself into the business with ease - she leaves the treat testing to Ollie while she tests out all the new toys that arrive in the boutique - she's our head toy analyst - and she does a pawtastic job! We ♥ Instagram! Pop by our account and like our doggie photos! We have one account on instagram for both Ollie’s Petcare & Ollie’s Pet Boutique. You can see all our latest pics below – click a pick to go to instagram! You can also find our team on Facebook,YouTube and Pinterest if you want to pop by and say #Woof!! Hate Spam? So do we. That's why Ollie's Petcare will never share your email address with third parties.